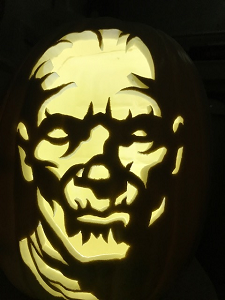 Pumpkin Pro Kits and Patterns - Zombie Pumpkins! 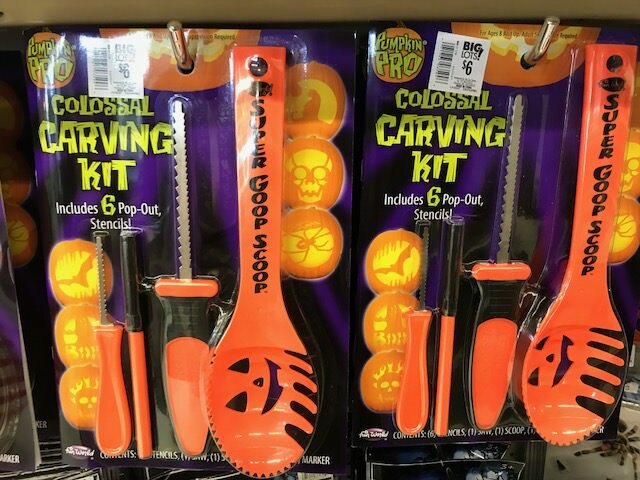 It seems there's a new brand of pumpkin carving kit in the grocery stores this year. They are called Pumpkin PRO. They are a ripoff of Pumpkin Masters. I found them in Fred Meyer, Safeway, and Big Lots. The tools appear to be the same (cheap) quality as Pumpkin Masters. I really don't care about the tools because I don't use them. What I care about are the patterns. And these are bad. It looks like they went to a bunch of free sites and just printed them and sold them. Every year I purchase a few PM books because I like what they offer.